Pharmacy Assistants possess a range of skills and attributes that contribute to the successful management and operations of community pharmacy. One of the most important and valued skill sets of pharmacy assistants is outstanding customer service. The Glucojel Super Star Award provides the opportunity to reward exceptional customer service. Managed as a subsidiary award within the National Pharmacy Assistant of the Year Award (PATY), the Super Star Award recognises outstanding customer service amongst the top 160 PATY State Finalists. Danielle Offer from Wizard Pharmacy Kemscott Plaza in Western Australia was awarded the 2018 Glucojel Super Star Award for Australian pharmacy assistants. 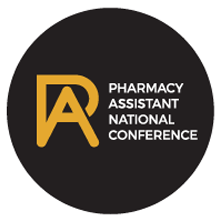 Danielle qualified as a State Finalise from 750 PATY nominations prior to winning the National Title during the Pharmacy Assistant Nation Conference on October 26 2018. Each PATY State Finalist is automatically entered into the Glucojel Super Star Award by attending the State Workshop Day. PATY facilitators outline the Award, including prizes at each State Workshop, so that finalists understand the benefits and opportunity of the Award. A State Winner will be chosen at each Workshop Day. State Winners will be awarded a framed certificate and announced via social media and official media releases to industry publications. One National Winner is chosen from each of the State Winners. The National winner will be chosen by the PATY Coordinator based on the judging criteria. The National Winner will be contacted and notified by the Guild prior to the Pharmacy Assistant National Conference, with the official announcement made at the Conference Gala Dinner. As we enter our 13th year of celebrating the passion & commitment of pharmacy assistants, we take a look back at our previous PATY winners!